On October 19, 2013 members of Rain City Rotary had a service project at Vision House Jacob’s Well in Shoreline. "It is a special place to us, and this is the third time we have worked there. The first time we shoveled dirt around the foundation. The second time it was framed and we swept up construction debris. This time we stained sections of the fence that will enclose the property. We also painted some interior stairs and picked up wood scraps and trash outside. We enjoyed making the place look better! It is exciting to see it so close to being ready for the families!" 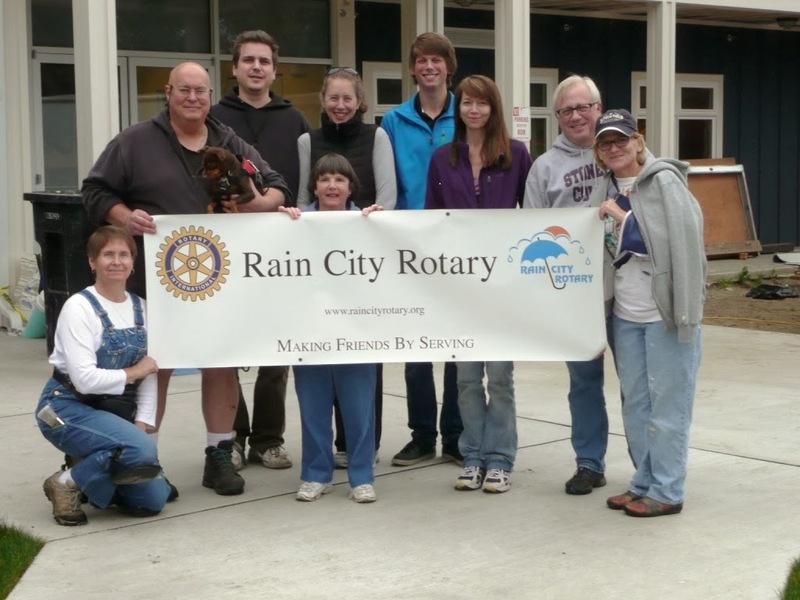 Rain City Rotary meets most Thursday evenings at 6:30pm at Shoreline City Hall. For more information visit Rain City Rotary or call 206-367-3122.